Dance lessons and milongas have held for the author both physical and emotional pleasure. To practice and execute a new step or adornment meant an appreciation of her own muscle memory and a celebration of shared intention/cooperation with another. Beyond the exhilarating athleticism and artistry, Dr. Potts also found spiritual inspiration in this learning exercise. She began to notice the ways personal qualities could either hinder or enhance the dance. 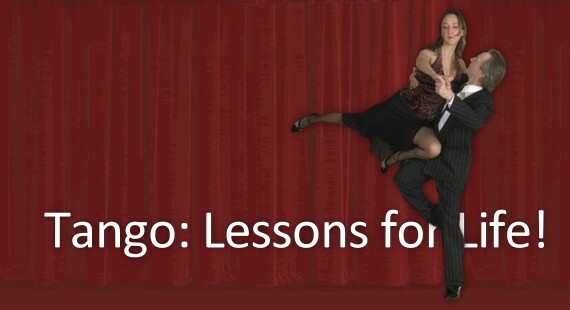 Conversely, she realized how techniques used in Argentine Tango could easily spill over into our lives beyond the parquet. She began writing her reflections in a personal journal. 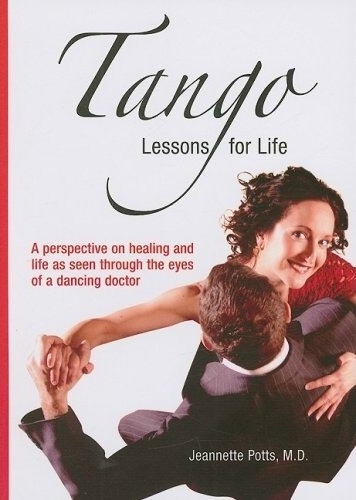 Tango: Lessons for Life is a collection of soon-to-be-published short stories and reflections composed by Jeannette Potts, which expands upon basic dance instructions, as well as observations of herself as an evolving student of dance. The chapter titles are very often literal translations or charming words paraphrased from broken English, spoken by her teachers or dance partners. In each section she shares what she has learned with diverse application to the home and the workplace. She explores the subtle and overt dances we carry out with others, but most importantly, she reveals our most intimate dance...the one we perform with ourselves. Create and explore a shared intention. A discipline to be in the moment. Always keep your heart in front of hers/his. Don't look at my feet...Look into my eyes. Do not miss the dance! Dancing as though you have 90% of the accountability. A female brand of narcissism. If you share a strong axis, the fewer feet you need touching the floor. "Responsibilities" should not extinguish dreams. We cannot possess the things we most treasure. Arrogance is a two-way street. The more accomplished YOU become, the fewer arrogant people you encounter...hmmmm... perhaps it is all your interpretation. Reverse and forward ochos are not figures of eight. Cloaks we use to disguise our true identity and our true intentions. They call it growing pains for a good reason. Don't allow errors to interrupt the dance. Mistakes can lead to unusual and creative choreography. Don't disguise your height when you dance with smaller men. Don't alter your core values....Don't bend toward the whims of others. When you are left with an aching foot and a broken shoe. If I learn the lead, I can be a better partner. It never hurts to imagine yourself in someone else's dance shoes. I wish he could feel how he makes me feel; how deliciously he leads. When you stop measuring what you receive, all you want to do is give! Was Jesus a tango dancer? or Bahai, or Siddartha, Muhammed, or...? The secret of the glass half filled. Who would want more... it would spill while dancing! The better the lead, the less need to speak. If it is real, there is no need to explain.